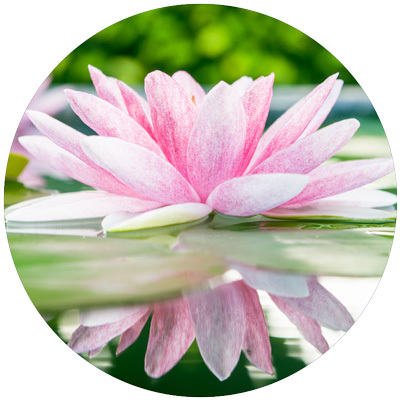 Holistic Modalities have been defined as treatment techniques whose goals are to bring about the healing of the mind/body/spirit and emotions; the whole human being. Women diagnosed with cancer are under a great deal of stress and anxiety. 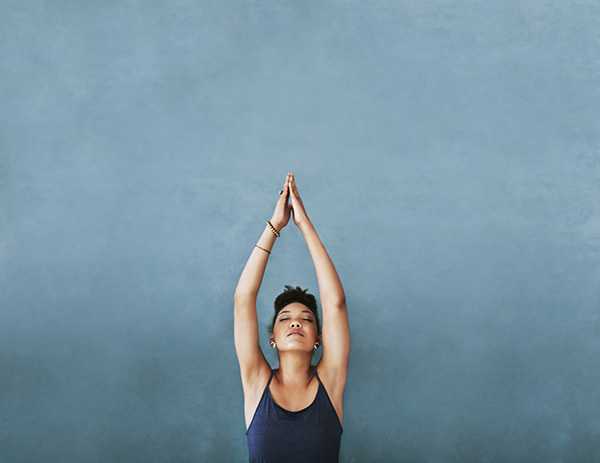 Experiencing and learning some new tools to use, as simple as a breathing meditation, guided imagery, and a gratitude list, or more advanced skills such as reiki, journaling or body movements, can help restore balance and harmony back into your lives. The first half of each of our meeting is devoted to sharing a holistic modality with the group. Each month a different presenter will demonstrate his/her program. Then it is up to each individual if they want to try to learn it. The choice is yours. Our groups are filled with sharing, laughter, love and some times tears, which are, of course, healing. At the end of my first year working in the outpatient cancer center as a Holistic Nurse Practitioner, I proposed a Reiki Level 1 Workshop for women with cancer. This way, they could learn Reiki for personal use and also share it with family and friends. Most of the women who signed up had been and some still were, patients whom I had worked with during their chemotherapy. The response was overwhelming. After the program, a dozen women continued to meet with me and discuss the possibility of starting a support group for women with cancer with emphasis on the Healing Arts. They asked me to be president, but I refused. I told them loud and clear, “Ladies you are the experts. You have walked the Journey, I have only accompanied you.” Thus WINGS was born. We are grateful to all of the beautiful people who have helped us get to this Healing Place. I was diagnosed with breast cancer in October of 2008. Even before having my bi-lateral mastectomy and chemotherapy, I began to understand and feel the incredible healing power of love, support and of women sharing and listening who had had similar experiences. Being a musician, and working in music with young families, I was acutely aware of the many ways music could help in healing. But then delving into the healing arts more fully as I went deeper with all of our WINGS programs, I have learned so much more about the whole mind, body and spirit connection. Meeting holistic nurse Lynn Ferrer and the subsequent formation of WINGS Cancer Support Group has been another incredible journey that continues to bring, joy, peace and inspiration. I am a mother of three boys, wife, sister of a cancer survivor, and feel so blessed to be able to pay it forward through WINGS. I am a mother, daughter, friend and survivor. I was diagnosed with rectal cancer at the age of forty-seven and have been living cancer-free since I finished my surgery and treatment. I believe that my faith, the healing arts and the support of the Women of WINGS, have been essential to my recovery and peace of mind. I want women to know that we need not be alone; the women of WINGS stand together and offer Love, Hope, Comfort and Support. In September 2009 at the age of 46 I was diagnosed with a rare and aggressive form of breast cancer. Today I am cancer free. Little did I know that on this journey, I would meet a group of amazing women and that together we would turn WINGS from a concept in to a program. Being both a founding member and a member of the board of directors has brought an amazing amount of joy, fulfillment, and support to me over the last five years. The woman on the Board and all the women who have attended our programs have added depth and quality to both my recovery and my life. I consider it an honor to lead the support group that we have directly after most presentations. I am a retired elementary school teacher. Six months into retirement, the proverbial rug was pulled out from under me. Stage 4 uterine cancer! Thankfully, that was not my end, but rather the beginning of a new perspective on life. As a founding member of WINGS, I’ve had the satisfaction of seeing the strength, energy and caring that our support group has provided to women on their cancer journey. WINGS has been my life raft; helping me to cope with my situation and to see the positive possibilities. The camaraderie I feel meeting with women sharing my experience is priceless. During the monthly meetings, we learn how to better help ourselves through the healing arts. We also get to share our good news and concerns when we need to. Don’t just settle for being a cancer survivor, learn how to be a cancer thriver. I’ve been enjoying my life for the past 6 years and plan to continue. I am grateful to be a mother and wife, sister, friend and dog lover. I believe Hope is the theme throughout my life, particularly in my breast cancer journey. Volunteer work has become my focus in both schools and in the community. It is a privilege to serve as a member of WINGS. I am a mother of two daughters, a wife of 28 years, an elementary school art teacher for 30 years and a stage 3 breast cancer survivor/thriver. I was very scared when diagnosed and throughout all the treatments and surgery, but surviving cancer has given me a new outlook and appreciation for life and for all the positive that has come out of this experience. I have witnessed incredible acts of kindness and have met so many beautiful people on this journey. I am involved with an organization called Hearts of Hopeand have created and distributed over 5000 painted ceramic hearts to local hospitals over the last six years. I am lucky to be on the board of WINGS with amazing women, where we continue to pay forward love, kindness and understanding. I try to find the good that I can do and live life to the fullest every day. Being diagnosed with breast cancer in November 2009 was one of the worst events in my life but ended up being one of the most rewarding. I am a dancer, choreographer and dance educator. Dance is my life and when diagnosed I was in rehearsals with my dance company, Moe-tion dance theater, and also working at my full-time job, as a dance instructor, at a gifted and talented high school dance program. The support and love I received from my family, friends, colleagues and students helped me push through obstacles. Through laughter and tears, my company and I collaborated on a new dance piece. Being able to express myself through movement was, and is so healing. I appreciate every single moment of my “cancer adventure”. I believe that everything happens for a reason. I was introduced to these beautiful women through our shared holistic nurse Lynn. Together, WINGS was born. I am grateful for every day that was and look forward to every day to come. It is a privilege and honor to be on the board of WINGS with such an amazing group of women. I am a strong believer and advocate that the Healing Arts contribute to one’s positive outlook toward their battle with cancer during and after treatments. Having had a personal journey and having had friends and family afflicted with various types of cancer including prostate, bladder, brain, skin, lung, breast, ovarian and lymphoma; I have witnessed the power of healing through art therapy, reflexology, reiki, meditation and journaling. I have learned that knowledge is power and that is what WINGS provides; a place where we come together and bond by sharing life stories and personal experiences through laughter, tears and friendship. I joined the board of WINGS in 2013. I am a breast cancer survivor who was diagnosed when I was 34 years young! I also serve as a board member of the Dean Michael Clarizio Cancer Foundation operating out of West Orange, NJ. While I was undergoing my first set of treatments in March of 2013, I was introduced to a nurse by the name of Lynn Ferrer at Saint Barnabas, who practiced holistic therapy and medicine. She invited me to attend a “WINGS” meeting. I was unsure if this was something I would be comfortable doing. I, like many others, was scared what the future had in store for me. I was diagnosed when I was 33 years old. More or less, I was afraid to live but afraid to die… But then I met the women of WINGS, and my perspective on this group—and life—changed. At first glance I thought, “What could I possibly have in common with these women?” But this group of ladies—some young, some old; some black, some white; some single, some married and some widowed; and some heterosexual, some homosexual—all had one thing in common: they were united by cancer. This ugly monster had allowed something beautiful to evolve from its evil existence: a friendship—a bond that no other person could break or understand unless she was part of this unique group. These women and their stories not only inspired me, but healed me on so many levels. And for that, I am eternally grateful to WINGS.